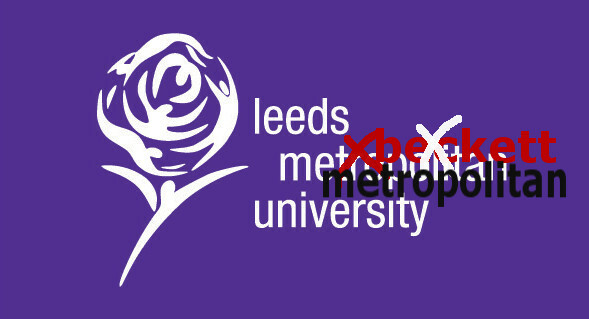 The internal row at Leeds Metropolitan University over its forthcoming name change to Leeds Beckett just won’t go away. At the end of February members of the students’ union voted overwhelmingly against the change in an online referendum and elected a new president who had campaigned vocally to keep Leeds Met as Leeds Met. Now it’s the university’s academic staff who are going to have their say at branch meetings of the University and College Union (UCU) being held today (Wednesday) and tomorrow. “In light of the recent SU (students’ union) referendum on the issue I have received a late emergency motion from two ordinary members calling on the branch to organise a vote of no confidence in the name change – please come along to vote on this,” said an email sent on Tuesday to union members by UCU branch secretary Professor Paul Blackledge. The students’ union board of trustees is meeting next week to look at the implications of the online referendum result. The name change was approved by the Privy Council in November and is due to come into effect at the beginning of the 2014-15 academic year. University vice-chancellor Professor Susan Price confirmed earlier this week that the name change would be going ahead on 22 September, according to a report in The Independent. This entry was posted in Uncategorized and tagged leeds, leeds beckett university, leeds met, leeds met students' union, leeds metropolitan university, prof susan price, UCU, university and college union. Bookmark the permalink.